I think it's been proven by now that the cast of Avengers: Infinity War and its upcoming sequel are not good at keeping secrets. They're terrible at it, and a couple of weeks after the movie secrets are still spilling out. Only they're about next year's Avengers 4 which is problematic for obvious reasons. This is what happens when movies shoot back-to-back. 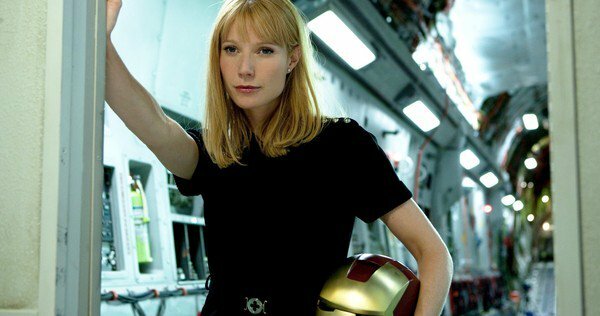 The culprit this time is Gwyneth Paltrow, who may have just spoiled something huge about Tony Stark and Pepper Potts' relationship. Awwww, there's going to be a baby Stark! Unless they cut that subplot out of the movie now. The timing makes sense given that Tony predicted she was pregnant early on in Infinity War, only to have her crush his dreams. However, it's possible that she knew and was looking for a better time to tell him. She was desperately trying to tell him something before being cut off while Tony was on Thanos' ship.